The Associated Press files, Mitchell in a 1972 photo. Reading American academic David Yaffe's lively biography of the great Canadian songbird Joni Mitchell is both exhilarating and sad. Exhilarating, because Yaffe is an unapologetic fan who argues that Mitchell's body of work holds its own not just against that of other boomer-era pop acts, but against almost any artist's of any period. But it is sad, too, because he makes clear that Mitchell's troubled later years have been largely self-inflicted. Her displays of bitterness and self-justification became worse as she aged. As far back as 1970, after his three-year relationship with Mitchell broke up, Graham Nash asked his bandmate David Crosby why she was badmouthing him. "Joni hates everybody," Crosby replied. But Yaffe is not out to turn Reckless Daughter into a kind of Joni Dearest. He accepts her difficult personality as a fair tradeoff for her being the "deeply principled artist" who has composed such pop masterpieces as The Circle Game, Big Yellow Taxi and Woodstock. He quotes folk queen Joan Baez: "She's a really strong woman who doesn't give a f - - about what anybody thinks, and we all wish we could be that way, but we can't." Reckless Daughter - a reference to her 1977 album Don Juan's Reckless Daughter - is the first full-length biography Mitchell has authorized, though the facts of her life, from her 1943 birth as Roberta Joan Anderson in Fort Macleod, Alta., have hardly gone absent from print. American journalist Sheila Weller gave them a feminist spin in 2008 bestseller Girls Like Us, which lumped in Mitchell, somewhat uncomfortably, with pop stars Carole King and Carly Simon. 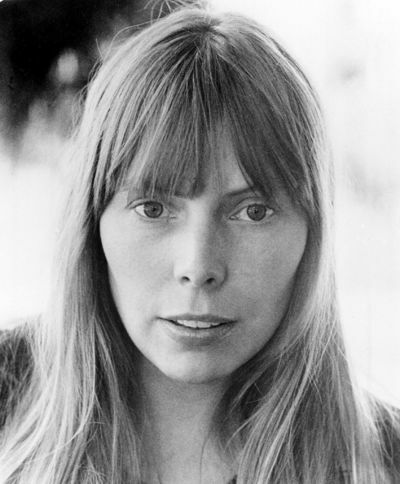 Mitchell did not co-operate with Weller, nor with Vancouver's Katherine Monk for her 2012 bio Joni, though she did with her friend Malka Marom for the 2014 one-source book Joni Mitchell: In Her Own Words. Mitchell also turns up as a key figure in any number of music memoirs of the Toronto folk scene in the 1960s and California's Laurel Canyon in the 1970s. Yaffe conducted hundreds of original interviews and he identifies everyone he quotes. He likes to relate old anecdotes and then return to those involved, including Mitchell, for their mature perspective decades later. It should be said that Yaffe is much more attuned to his subject's emotional life than, say, Nicholas Jennings is to Gordon Lightfoot's in his new biography. Yaffe brings Mitchell's story up to date, including material on her relationship with her daughter, Kilauren Gibb, and her involvement with the Alberta Ballet production The Fiddle and the Drum. More important, he offers a critical appreciation of her accomplishments as a composer, singer and lyricist, especially in the context of her time and place. Yaffe writes in an entertainingly playful and poetic manner, though he often gets tangled in syntactical thorns. He is also prone to overstatement: "After Blue," he writes, "the genre of the love song would be forever changed." Many critics have hailed Mitchell's mind-blowing '70s output - the string of eight classic albums from Clouds to Heijira - but Yaffe also argues for the merits of her long and fruitful jazz period. To him, Mitchell is like Bob Dylan, whom she called along with her one-time lover Leonard Cohen her "best pace horses." She goes where her heart and mind take her, not where the market wants her. Yaffe, 45, teaches literature and music appreciation at Syracuse University in New York. A musician as well, he has the vocabulary to explain Mitchell's harmonically innovative guitar tuning, as well as her three-octave vocal gymnastics and melodic exuberance. Which isn't to say he ignores Mitchell's brilliance as a lyricist. He traces virtually every line she has written to its antecedents in her personal life. He gives Winnipeg a mention or two, usually in relation to Mitchell's old friend and contemporary Neil Young. Rest assured the Texas-born Yaffe does not write condescendingly about Mitchell's roots in the Great White North, though he makes the odd mistake. At one point he locates Saskatoon (where she grew up) in "central Canada" and in another place he refers to Mitchell's 1981 induction by Pierre Trudeau into the "Canadian Hall of Fame," forgetting the qualifier "Music." Indeed, the book does betray hints of being hastily edited. Yaffe has an annoying habit of using tape-recorded quotations than run for half a page or longer. This common sin has only worsened in the age of email interviews. In one he quotes Mitchell objecting to the sound mix at a Dylan concert as "illegible." She meant "inaudible" or "unintelligible." Surely an English PhD knows the difference. Mitchell will turn 74 in November. She has been unable to work for years, hobbled by her various health issues. Virtually a recluse, she deals with a rare skin disease known as Morgellons, which some doctors consider psychosomatic. In March 2015, two months after Yaffe interviewed her last, she suffered a brain aneurysm that nearly finished her. Like many ambitious and creative people, she neglected her physical health. She smoked up to four packs of cigarettes a day for most of her adult life. "I finally realized," her ex-husband Larry Klein tells Yaffe, "that on some very deep level, she actually would rather die than live without smoking." Mitchell will hate this biography (if she can read it), even though she consented to it. She will feel betrayed as she has been so many times before. All she has asked, as she pleaded famously in song, is this: "Will you take me as I am?" But it is no mean compliment to say that Reckless Daughter takes Mitchell as she is. This article has been viewed 1,342 times since being added on October 21, 2017.